Ye ,guys ,just been given a CD of the above named artists, any of you guys come across them and what do you think ? The band really swings too - were these guys rated back in the day ? Long shot but does anyone know of good record and clothes shops in Berlin city centre ? Best male and female solo singers ever. After the brilliant response from you guys on "best front man" I thought I`d give you all the floor to nominate your all time fave solos! Has anyone ever seen this movie ? Is it good? I just came across it today. It is a Mod movie I guess. Urgent casting call for The Zombies! Although not Mod-related, but nonetheless a well-deserved mention. 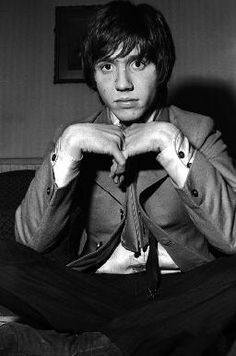 This morning, Australians everywhere are mourning the loss of Aussie music legend Stevie Wright of the Easybeats.